Not that any additional evidence is necessary, but the results of the October 7 presidential election in Brazil confirmed in spades just how blatantly biased and overwhelmingly leftist are the establishment media organizations — worldwide. Moreover, it demonstrated the ridiculous herd mentality of the scribblers and talking heads of the controlled, globalist media cartel, as they marched in lockstep, using virtually identical headlines and descriptions to demonize the conservative winner. 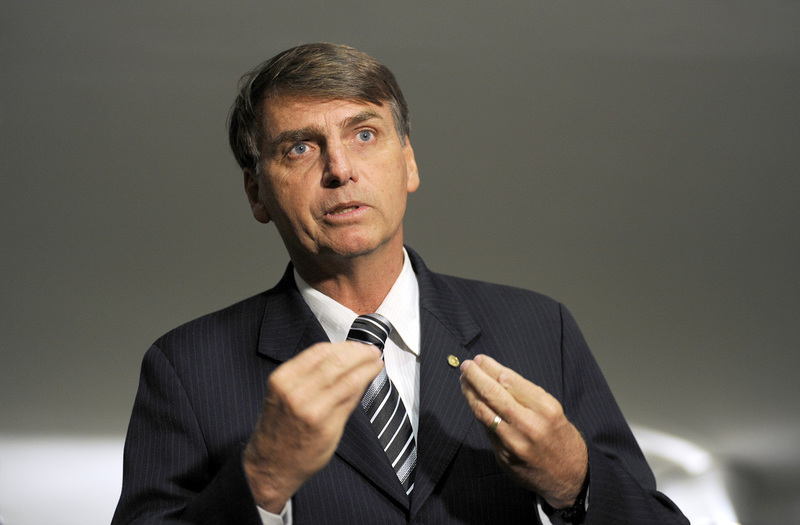 It seems the media pundits are universally stuck on “far-right” when it comes to mentioning Congressman Jair Bolsonaro, who has been dubbed the “Trump of the Tropics.” Defying media predictions and "expert" analysts, Bolsonaro won the election with 46.7 percent of the vote, in a crowded field of 13 candidates, far ahead of the second-highest contestant, left-wing ex-São Paulo mayor Fernando Haddad, who received 29 percent. Far right, far right, far right. Racist, misogynist, fascist, authoritarian, divisive, homophobic, fringe, extremist. Sound familiar? And, of course, there are also the obligatory comparisons to Hitler, Mussolini, Stalin, and Attila the Hun. Many of the propaganda organs cited above carried similar headlines and stories not just once but several times (some, even dozens of times) during the course of the campaign. Why are the media mavens so rabidly opposed to Bolsonaro? Because, as The New American has reported, he is a “pro-gun, pro-life, pro-liberty, pro-property rights, pro-free-market firebrand” who represents a huge break from the 15-year far-left rule of the Workers Party, whose leaders the media elites have adored and promoted. The New York Times, which idolized Fidel Castro and has flacked for dozens of communist, pro-communist, and anti-American dictators, cannot abide Bolsonaro. It has published multiple derogatory articles attacking him. Wrong again! Another strikeout for manipulated opinion polls. Once again, the opinion polls exalted by the elite media proved to be spectacularly wrong. As with the Brexit vote in England and the Donald Trump victory over Hillary Clinton, the polling predictions proved to reflect more wishful thinking and psychological manipulation on the part of the pollsters than the actual opinions of the voters. The talking heads at CNN, which were relentlessly critical of Bolsonaro, must have been much chagrined (again) when they reported: “Opinion polls released before the campaign closed predicted Bolsonaro could capture 35% of the vote, far less than he achieved.” There is much gnashing of teeth in “mainstream” medialand, as the so-called elite journalists make a last-ditch desperate attempt to thwart Bolsonaro’s march to the presidency of Latin America’s most populace country with the largest economy.